Home range problems? Come to us! At Appliance Repair Markham, ON, we have a team of professionals who can be of huge help when oven and stove range problems emerge. We take care of urgent issues as fast as possible, replace the damaged oven and stove parts, install new ranges, answer your questions, have competitive prices and keep our customers happy by doing quality work. Whenever you are in need of home range repair in Markham, do contact us. We’ll be glad to help out! The technicians of our local business go way back and their experience is your guarantee that the problem will be fixed to your satisfaction. Knowledgeable of the latest ranges in Ontario and familiar with the specifications of most branded models, our technicians can assist you every time you need range service. We do offer fast response oven range repairin the Markham residential neighborhoods and help our customers as soon as possible. Whether you want to change the ruined gasket of the oven’s door or check why the stove indicator light doesn’t go off, turn to us. Our professionals offer fast range troubleshooting and tell you the reasons for your oven or stove not working right. We do make fast diagnoses and have the equipment to support our work. You can trust us for your electric range repair needs, but also for all services associated with gas powered ranges. In either case, we can replace the bad parts causing problems and offer preventive service. Let us find out for you why the oven door is stuck orthe oven fails to bake, the stovetop doesn’t work, and the oven temperatures are not consistent. 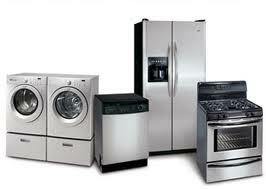 By offering fast Markham range repair services, we ensure you use trouble-free appliances once more. By focusing on gas range installation, we make sure the appliance works fine. Our services aim at helping you using them as much as you like without problems, saving energy and making sure your meals will be tasty. Call us if you need electric or gas range repair now.